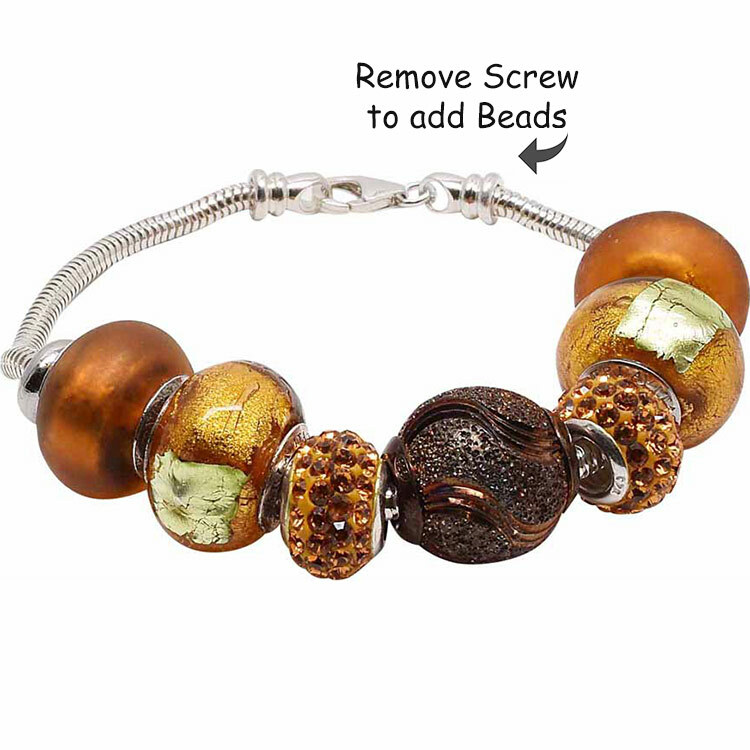 This European Charm Bead Sterling Silver Bracelet is 7.5 Inches long with a removable end cap for adding or re-arranging the beads. The diameter of the bracelet is 3mm. This beautiful fall colors of authentic Murano Glass Charm Beads is paired with a bronzed sterling silver focal bead and Crystal Studded beads. The Sterling Silver Snake Bracelet features a screw off end which allows you to change the beads, add more beads to create your own style. This is a limited Edition. For larger sizes of the bracelet, contact us.